After the initial remarks by government spokesman Launsky-Tieffenthal, Chancellor Kurz (ÖVP), Vice-Chancellor Strache (FPÖ) and Foreign Minister Kneissl on the case of Max Zirngast on September 11 and 12, 2018, there has been little word from official sources on the matter. Foreign Minister Kneissl has now made a number of comments regarding this case. We must say that we can hardly hide our astonishment at the content of her statements. “He is still in pre-trial detention and is being intensively supported by the embassy in Ankara. It was a special concern to her that he regularly receives parental visits. Unfortunately, it was currently not possible to estimate how long the pre-trial detention will last. As soon as the trial commences, he will also be allocated a permanent observer. The case was naturally also brought up at various political meetings, said Kneissl, who in such cases relies on the “path of silent diplomacy”. We are not aware of any case of silent diplomacy vis-à-vis the Erdoğan regime which would have led to premature release from unjustified detention. So far, on the contrary, only political and civil society pressure as well as and public media attention have made a difference – such as in the cases of Deniz Yücel, Peter Steudtner or Meşale Tolu. And, last but not least, there is also the case of Pastor Andrew Brunson, who sat in Turkish prison for two whole years on fallacious grounds. Then US President Donald Trump – setting aside his motives for the moment – exerted increased pressure and within three months Pastor Brunson was free. Even the talk of a “fair trial” is grotesque. Minister Kneissl is certainly aware that since the introduction of the presidential system following the referendum in April 2017, Erdoğan as President of the Republic also controls the central bodies of the judiciary, insofar as he had not already done so de facto before then. We would be happy to show the Minister a notarized translation of the interrogation records of Max Zirngast in front of the magistrate and prosecutor (see here some translated excerpts from the interrogation records). These clearly show that justice is served here purely on the basis of political conviction. The aim here is to muzzle an oppositional researcher, journalist and activist who has committed no crime – pure and simple. Without any proof, not even any circumstantial evidence of a crime and on the basis of a half-cooked indictment which is also still kept under wraps, Max Zirngast has now been held since 20 September 2018 at the maximum security prison Sincan like a convicted felon and terrorist. Under these circumstances, and in this context, calling for a “fair trial” actually bestows upon Turkey’s current political arbitrary justice the false appearance of the rule of law that it has long lost. The only appropriate call under these circumstances is that for the immediate release of Max Zirngast. The talk of “massive deterioration of the human rights situation” and the “more than ten thousand political prisoners” sounds very familiar sound to us: Since the military coup of 15 July 2016, which Erdoğan has actually called “God’s blessing”, more than 170,000 civil servants have been suspended from service, more than 140,000 people were detained and over 81,000 people arrested (as of 29.08.18, source: turkeypurge.com). There are also “MPs, and even elected mayors”, as Max Zirngast notes in his message of 26 September 2018. More than a dozen predominantly Kurdish cities had a state of emergency imposed on them and some of them have been bombed to the ground. After publishing an appeal for peace, Academics for Peace (BAK) have been charged, arrested and/or dismissed on the grounds of “insulting Turkishness, the Republic and its institutions” and “propaganda for Terrorist Organizations” and can no longer pursue their academic careers; many are fleeing to Europe. Nearly 100 Kurdish mayors were dismissed and replaced by compulsory administrators. More than 300 journalists were detained, at least temporarily, some 170 are still behind bars, over 180 media companies have been closed. And the list goes on, but let us come to a conclusion here: As far as “massive deterioration of the human rights situation” and “over ten thousand political prisoners” is concerned, we see no major differences between Turkey and Saudi Arabia. Why Minister Kneissl finds much softer words for the Turkish regime and recommends “quiet” diplomacy, while at the same time finding very clear and strong words on Saudi Arabia and recommending aggressive diplomacy, is anyone’s guess. It may be merely that the economic and geopolitical interests with Turkey are greater. However, we welcome the fact that a motion submitted by all five parties to the Foreign Policy Committee of 19 October (398 / A (E)) calls, inter alia, on the Federal Government to “work to improve the situation of journalists and opposition politicians and address the alarming human rights situation of the Kurdish civilian population in its bilateral contacts and to work to improve the situation of those affected at all levels.” We also welcome the motion filed by Liste Pilz, NEOS and SPÖ (342 / A (E)), calling on the Federal Government “to do everything in their power to secure the release of the Austrian journalist Max Zirngast.” According to the APA-OTS press release of October 19, an application of all five parliamentary groups will now be brought to the floor on the basis of this initial motion in support of “all Austrians who have been detained in Turkey under questionable circumstances”. These are steps in the right direction. Appeasement, on the other side, is counter-productive and will not achieve anything for Max Zirngast or any of the others who were wrongly imprisoned. Only public and political pressure and solidarity will make an impact. 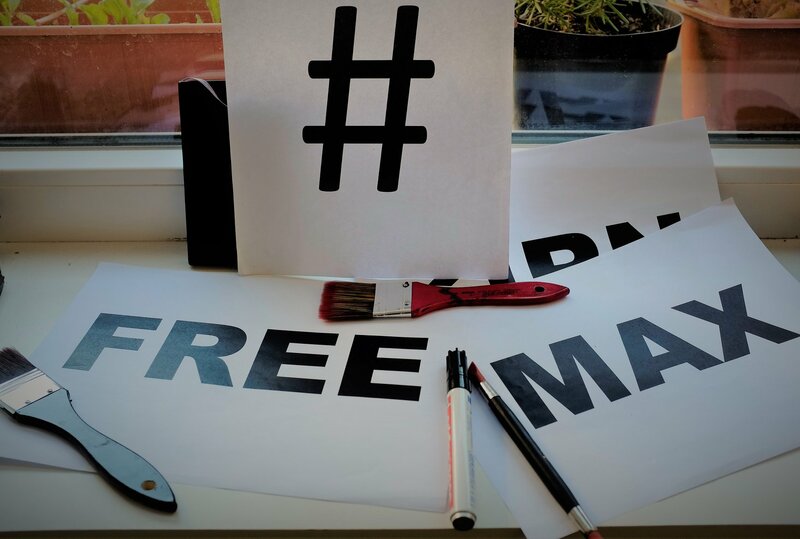 We will not tire in our efforts until we have secured freedom for Max Zirngast.